UAE, Dubai 13 Jan 2013 – On 17th December, a special VIP event was held at the Armani Hotel to mark the 60th anniversary of the Navitimer chronograph, the cult timepiece of choice among pilots and aviation enthusiasts. 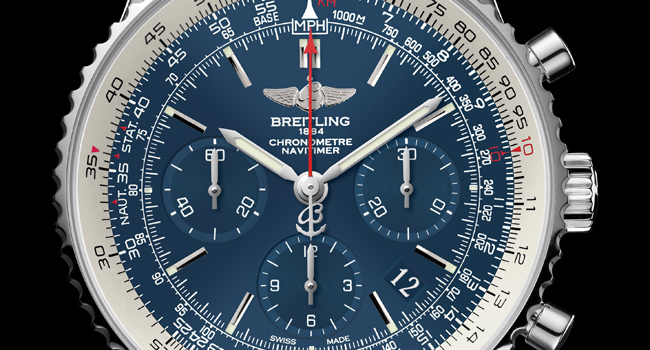 The event showcased the Navitimer Blue Sky Limited Edition watch, limited to only 500 pieces across the globe and distinguished by its design touches, such as the elegant dial in an exclusive shade of blue, the silver inner bezel, and the contrasting red secondshand. In 1952, Breitling – already a firm fixture among aeronautical professionals – decided to create a new ‘wrist instrument’ specifically designed with aviators in mind. 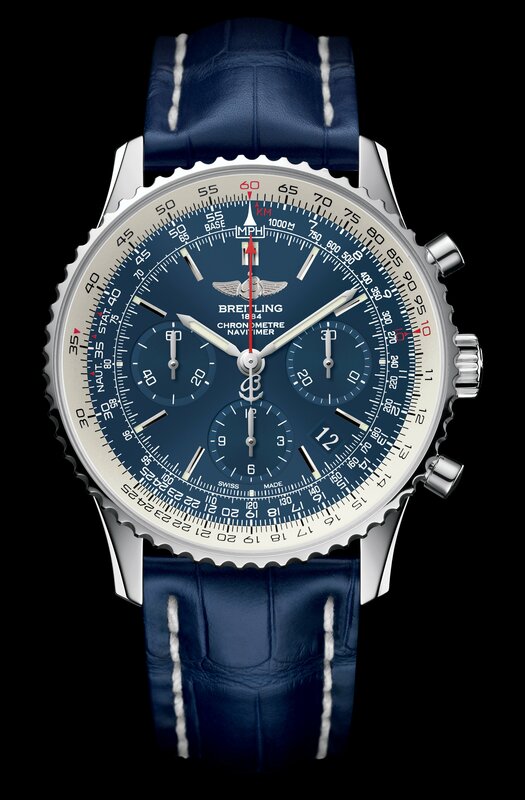 The result was the Navitimer with its famous circular slide rule providing simple and fast handling of all calculations relating to airborne navigation: an authentic wrist-worn instrument panel. In an era preceding the advent of electronic calculators, this model, unique in its kind, was soon adopted by many pilots for flight preparation monitoring – whether it came to calculating average speed, distance covered, fuel consumption or rates of ascent and descent. The only authentic aviation chronograph in widespread use, it was naturally chosen as the official watch by the Aircraft Owners and Pilots Association, the largest association of its kind in the world, whose logo often appears on models from the 1950s and 1960s. The Navitimer features a functional design and a highly original technical yet elegant look that is recognizable at first glance. It thus established itself as one of the ten great 20thcentury watchmaking classics, a timeless benchmark in its field and a reliable holder of value. Continuously made since 1952, remaining loyal to the aesthetic of the original, it is the world’s oldest mechanical chronograph still in production. To celebrate its 60 years in flight, the favorite watch among aviation enthusiasts is now available in a 500 piece steel limited edition with a magnificent blue dial, a silver inner bezel and a red central chronograph seconds hand. 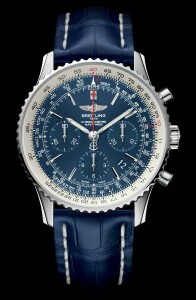 A handsomely stylish new face for the most emblematic Breitling model. 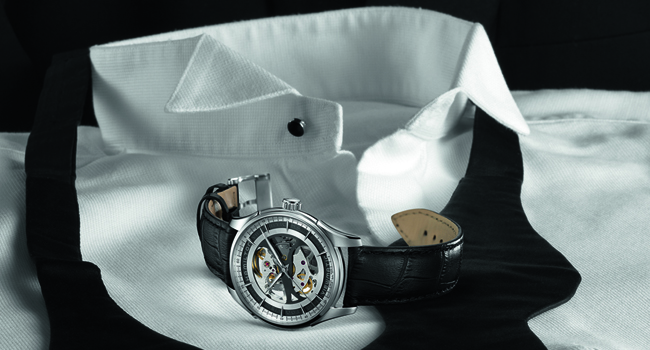 A transparent caseback affords a chance to admire Manufacture Breitling Caliber 01, the best self-winding chronograph movement. 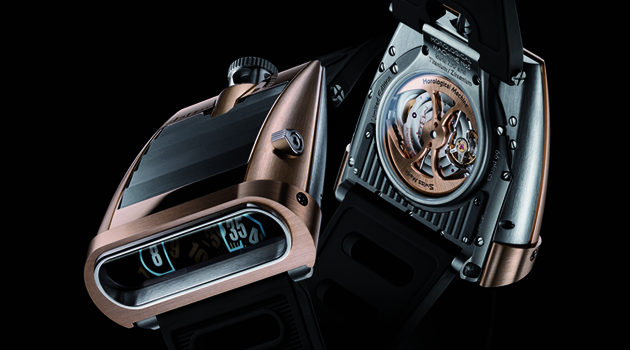 The serial number is engraved on the case middle at 9 o’clock, and the color match is reinforced by an exclusive dark blue crocodile leather strap. The Navitimer Blue Sky Limited Edition 60th anniversary is also available on the Navitimer bracelet – or the highly original perforated Air Racer bracelet.